Hoffmann, N. C.; Yin, J.; Hoffmann, S. (2019). Asymmetric Effects Of Supplier Hypocrisy Along Global Supply Chains – Empirical Evidence From China And Germany, paper presented at AMA Winter Conference, February 22nd-24th 2019, Austin, US. Joerß, T., Hoffmann, S., Mai, R., Akbar, P. (2019) Digitalization as Solution of Environmental Problems - When Do Sustainability Conscious Users Rely on Augmented Reality-Recommendations Agents, paper presented at the AMA Winter Conference, February 22nd-24th 2019, Austin, US. Lasarov, W.; Mai, R.; Trabandt, M.; Griesoph, A.; Hoffmann, S. (2019). The (Group) License to Indulge, paper presented at the AMA Winter Conference, February 22nd-24th 2019, Austin, US. Reimers, H.; Hoffmann, S. (2019). Does Transparent Price Labeling Boost Label Effectivity For Sustainable Products?, paper presented AMA Winter Conference, February 22nd-24th 2019, Austin, US. Trabandt, M.; Akbar, P.; Hoffmann, S. (2019). I Am What I Own and I Am What I Do: The Diverging Impact of the Extended Self in Access-Based Consumption, paper presented at the AMA Winter Conference, February 22nd-24th 2019, Austin, US. Hoffmann, N., Lasarov, W., Mai, R. & Hoffmann, S. (2018). Sin Tax – How Governmental Regulations to Foster Anti-Consumption Backfire, paper presented at the 7th ICAR symposium, November, 9th-10th 2018, University of Almería, Spain. Lasarov, W., Hoffmann, S. (2018). Introducing Two Avenues of Social Moral Licensing, paper presented at the 7th ICAR symposium, November, 9th-10th 2018, University of Almería, Spain. Hoffmann, N. C.; Karimova, G.-S.; Heidbrink, L.; Hoffmann, S. (2018). Western and Eastern Virtue Ethics in Consumer Research: Review, Synthesis, and Directions for Future Research, paper presented at the AMA Winter Conference, February 23th-25th 2018, New Orleans, US. Akbar, P.; Hoffmann, S. (2017). The Augmented Value-creation Logic in Product Service Systems, EMAC 2017, May 23th-27th 2017, Groningen, Netherlands. Krautz, C.; Hoffmann, S. (2017). The Tenure-Based Customer Retention Model. A Cross-Cultural Validation, Kommissionstagung Internationales Management der VHB 2017. 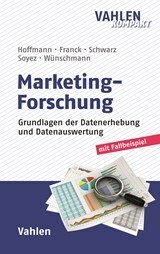 Symmank, C.; Hoffmann, S.; Mai, R.; Stok, M.; Renner, B.; Rohm, H. (2017). Psychological determinants of healthy food decision making: A systematic literature review, February 2nd-3rd 2017, ARPH Conference, Association for Researchers in Psychology and Health, Leiden, the Netherlands. 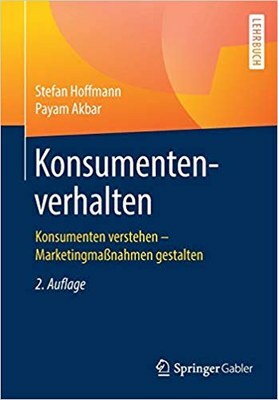 Akbar, P. & Hoffmann, S. (2017). Towards a new understanding of creating value in product service systems, paper presented at the AMA Winter Conference, February 17th-19th 2017, Orlando, US. Lasarov, W., García de Frutos, N., Mai, R., Ortega Egea, J. M., & Hoffmann, S. (2017). How Motivated Reasoning Impairs Environmentally Motivated Consumption Reduction. A Multi-Country Study, paper presented at the AMA Winter Conference, February 17th-19th 2017, Orlando, US. Lasarov, W., Hoffmann, S., & Mai, R. (2017). Group Licenses - Why Moral Consumers Do Not Always Run With their (Moral) Herd, paper presented at the AMA Winter Conference, February 17th-19th 2017, Orlando, US. Symmank, C.; Mai, R.; Hoffmann, S.; Stok, M.; Renner, B.; Lien, N.; Brug, J.; Rohm, H. (2016). Food Decision Making: A Systematic Interdisciplinary Mapping Review, June 08th-11th, 2016, ISBNPA, Annual Meeting of the International Society of Behavioral Nutrition and Physical Activity, Cape Town, South Africa. Symmank, C.; Mai, R.; Hoffmann, S.; Rohm, H. (2016). Product Characteristics and Consumer’s Food Decision Making: A Network Analysis of the Marketing and Business Literature, May 24th-27th, 2016, EMAC 2016, Oslo, Norway. Akbar, P.; Hoffmann, S.; Mai, R (2016). When do materialistic consumers join commercial sharing systems, paper presented at the AMA Winter Marketing Educators' Conference, February 26th-28th 2016, Las Vegas, US. Lasarov, W.; Hoffmann, S.; Orth, U.; Held, C. (2015). Why Do Boycotters Cool Down Over Time? An Analysis of the Intra-Personal Dynamics of Boycotting, paper presented at the AMA Winter Educators' Conference 2015, February 13th-15th, 2015, San Antonio, US. Mai, R.; Hoffmann, S. (2015). Less Paternalistic Ways of Transforming Consumer Behavior, paper presented at the 2015 EMAC Conference, May 26th-29th, 2015, Leuven, Belgium. Akbar, P.; Hoffmann, S.; Mai, R. (2014). A Little Less Anti-consumption a Little More Sharing Please, Paper presented at the ICAR 2014 Symposium on Anti-Consumption and Consumer Wellbeing, Kiel, Germany, June 30th to July 1st, 2014. Reifegerste, D.; Schumacher, M. B.; Hoffmann, S.; Schwarz, U.; Hagen, L. M. (2013). Framing von Gesundheitskommunikation in Settingansätzen, präsentiert auf der 1. Tagung der Ad-hoc-Gruppe Gesundheitskommunikation in der DGPuK, Hannover, November 21st-23rd, 2013. Hoffmann, S.; Schwarz, U.; Dalicho, L.; Hutter, H. (2013). Humor in Cross-Cultural Advertising: A Content Analysis and Test of Effectiveness in German and Spanish Print Advertisements, presented at the 2nd International Conference on Strategic Innovative Marketing, IC-SIM in Prague, Czech Republic, September 13th-17th, 2013. Hoppert, K.; Mai, R.; Zahn, S.; Hoffmann, S.; Rohm, H. (2013): Consumer’s Food Decision Making – An Adaptive Conjoint Analyses combined with sensory preference tests, Paper präsentiert auf dem 10th Pangborn Sensory Science Symposium, 11.-15. August 2013, Rio de Janeiro, Brasilien. Mai, R.; Hoffmann, S. (2013). Bridging the Attitude-Behavior-Gap in Healthy Food Consumption. The Moderating Role of Implicit Associations, paper presented at the 2013 EMAC Conference, June 4th-7th, 2013, Istanbul, Turkey. Iskhakova, L.; Yusupova, N.; Hilbert, A.; Joehnk, P.; Hoffmann, S. (2012). Decision Support Sys-tem for the Alumni Management, 14th International Workshop on Computer Science and Information Technologies CSIT’2012, Ufa – Hamburg – Norwegian Fjords, September 20th-26th, 2012. Hoffmann, S. (2012). The Cultural Imprint of a Country Market’s Boycott Prevalence. Präsentiert auf der Jahrestagung 2012 der Wissenschaftlichen Kommission Internationales Management im VHB, Saarbrücken, 24.02.2012. Hoffmann, S.; Mai, R. (2012). When and Why Do Consumers Boycott Companies that Relocate Factories? Präsentiert auf der Jahrestagung der Wissenschaftlichen Kommission Marketing im VHB, Ingolstadt, 26.-28.1.2012. Schwarz, U.; Hoffmann, S.; Hutter, K. (2012). Do Men and Women Laugh About Different Types of Humour? A Comparison Study in Print Ads, paper presented at the 2012 AMA Winter Marketing Educators' Conference in St. Petersburg, FL, USA, February 17th-19th, 2012. Hoffmann, S.; Hutter, K. (2012). Collective Shopping for a Better World. Theoretical Background of the Carrotmob and a Call for Future Research, paper presented at the 2012 AMA Winter Marketing Educators' Conference in St. Petersburg, FL, USA, February 17th-19th, 2012. Mai, R.; Hoffmann, S. (2011). Positive Marketing in the Food Sector: Development and Commu-nication of Healthy Food Products to Creating Benefits for Companies, Customers, and Society, paper presented at the Conference on Positive Marketing, November 4th, 2011, New York, USA. Schwarz, U.; Hoffmann, S.; Gelbrich, K. (2011). The Effectiveness of Humor in Cross-cultural Advertising, paper accepted for 73. Wissenschaftliche Jahrestagung des Verbandes der Hochschullehrer für Betriebswirtschaft e.V., June 16th-18th, 2011, Kaiserlautern, Germany. Hoffmann, S.; Mai, R. (2011). The Boycott of Offshoring Companies: How the Fit Between the Consumers' Home Country and the Company's Origin Influences the Boycott Decision, paper presented at the 2011 Academy of Marketing Science Annual Conference in Coral Gables, USA, May 24th-27th, 2011. Hoffmann, S.; Mai, R. (2011). Do You Really Want to Eat More Healthy or Do You Just Want to Look Good? How Different Motives Influence the Healthy Food Decision, paper presented at the 2011 Academy of Marketing Science Annual Conference in Coral Gables, USA, May 24th-27th, 2011. Schwarz, U.; Hoffmann, S. (2011). The Effectiveness of Sentimental Comedy and Sentimental Humor in Cross-Cultural Advertising: A Comparison of German and Spanish Print Adver-tisements, paper presented at the 2011 EMAC Conference, May 24th-27th, 2011, Ljubljana, Slovenia. Mai, R.; Hoffmann, S. (2011). Taste Lovers vs. Nutrition Facts Seekers. How Health Conscious-ness and Self-efficacy Influence the Consideration of Health-related Food Attributes, paper presented at the 7th CRAWS Conference, April 14th-15th 2011, Manchester, UK. Hoffmann, S.; Mai, R. (2011). Identifying Implicit Obstacles for Consuming Healthy Food. A Mul-ti-Step, Multi-Method Research Agenda, paper presented at the 2011 AMA Winter Marketing Educators' Conference in Austin, USA, February 18th-20th, 2011. Mai, R.; Hoffmann, S. (2011). Regional Dialect and Foreign Accent in Business Communication: A Review and Synthesis of the Literature, paper presented at the 2011 AMA Winter Marketing Educators' Conference in Austin, USA, February 18th-20th, 2011. Hoffmann, S.; Schlicht, J. (2011). How Different Types of Concernment Influence the Intention to Purchase Organic Food, paper presented at the 2011 AMA Winter Marketing Educators' Conference in Austin, USA, February 18th-20th, 2011. Hutter, K.; Hoffmann, S. (2011). Cooler than Boycotts. Carrotmob as an Innovative Form of Ethical Consumption, paper presented at the 10th International Marketing Trends Conference in Paris, France, January 20th-22nd, 2011. Mai, R.; Hoffmann, S. (2011). Implizite Einstellungen als Hindernisse der Stärkung gesunder Ernährung. Direktiven für die zukünftige Forschung, accepted for the 10th International Marketing Trends Conference in Paris, France, January 20th-22nd, 2011. Hoffmann, S.; Liebermann, S.; Schwarz, U. (2010). Ads for Mature Consumers in Transformation Countries: Should Marketers Address the Same Shift of Values as in Industrialized Countries? Paper presented at the 1st EMAC Regional Conference- Marketing Theory Challenges in Emerging Markets, hosted by the Corvinus University of Buda-pest, Hungary, September 23rd–25th, 2010. Schwarz, U.; Hoffmann, S.; Belikova, E. (2010). Diffusion of the Internet in the Transition Country Russia: An Integrated Analysis Approach, Paper presented at the 1st EMAC Regional Conference- Marketing Theory Challenges in Emerging Markets, hosted by the Corvi-nus University of Budapest, Hungary, September 23rd-25th, 2010. Hoffmann, S. (2010). Anti-Consumption as a Means of Saving Jobs. Why Consumers Boycott Companies that Close down Factories, Paper presented at the ICAR/NACRE 2010 Symposium in Marseille, France, June 25th-26th, 2010. Hoffmann, S.; Mai, R.; Smirnova, M. (2010). Conceptualizing Consumer Animosity. A Validation Study in Germany and Russia, Paper presented at the 2010 AMA Winter Marketing Ed-ucators' Conference in New Orleans, USA, February 19th–22nd, 2010. Mai, R.; Hoffmann, S. (2010). The Influence of a Salesperson’s Dialect: When is Regional Dia-lect a Factor of Success or an Obstacle in Direct Marketing?, Paper presented at the 2010 AMA Winter Marketing Educators' Conference in New Orleans, USA, February 19th–22nd, 2010. Hoffmann, S.; Liebermann, S.; Schwarz, U. (2010). Designing Advertisements for Consumers Older than 50 Years, Paper presented at the 2010 AMA Winter Marketing Educators' Conference in New Orleans, USA, February 19th-22nd, 2010. Hoffmann, S.; Mai, R. (2009). A General Model of Consumer Animosity toward Different Target Countries. An Analysis of Construct Validity and Criterion Validity, Paper presented at the CIMaR Conference in Beijing, China, October 15th-18th, 2009. Mai, R.; Hoffmann, S. (2009). The Influence of a Spokesperson’s Accent on Consumer’s Per-ception and Attitude, Paper presented at the CIMaR Conference in Beijing, China, October 15th-18th, 2009. Hoffmann, S.; Schwarz, U.; Liebermann, S. (2009). Tailoring Advertisements for the Generation 50+: The role of Activity and Modesty for Self-verification, Paper presented at the AMS 2009 Conference, Baltimore, USA, May 20th–23rd, 2009. Hoffmann, S.; Mai, R. (2009). Cross-national Differences in Consumers’ Animosity towards the US and Russia, Paper presented at the 38th EMAC Conference, Nantes, France, May 26th-29th, 2009. Niemand, T.; Hoffmann, S.; Ott, G. (2009). Consumer Integrated Technology Screening (CITS). Ein Prozessmodell zur Integration industrieller Kunden bei der Analyse des Potenzials von Technologiekonzepten, Vortrag auf der Tagung Kundenintegration und Kunden-bindung, Illmenau, 15. Mai 2009. Hoffmann, S. (2009). Die Verlagerung von Tochterunternehmen als Auslöser von Konsumentenboykotten im Heimatland des bisherigen Standorts, Vortrag auf der Jahrestagung 2009 der Wissenschaftlichen Kommission Internationales Management im Verband der Hochschullehrer für Betriebswirtschaft, Berlin, 13. Februar 2009. Soyez, K.; Hoffmann, S.; Smirnova, M. (2008). Umweltfreundliches Konsumentenverhalten in Deutschland und Russland: Eine Frage unterschiedlicher Wertorientierungen, Vortrag auf der DAAD-UFA-Konferenz, Dresden, 14. November 2008. Hoffmann, S. (2006). Vorstellung eines neuen Informationsportals für KMU: iXpatriate – das Portal für Auslandskompetenz in KMU, Siegener Mittelstandstagung SiMi06, Siegen, 8. September 2006. Hoffmann, S.; Wittig, K. (2006). Do International Advertisement Campaigns Reflect Cultural Differences?, Paper presented at the 14th Annual CIMaR Conference, Istanbul, Turkey, May 26th-31st, 2006. Wittig, K.; Hoffmann, S. (2006). Why Do Consumers Boycott? A Replicating Study in Germany, Research Proposal presented at the 14th Annual CIMaR Conference, Istanbul, Turkey, May 26th-31st, 2006.